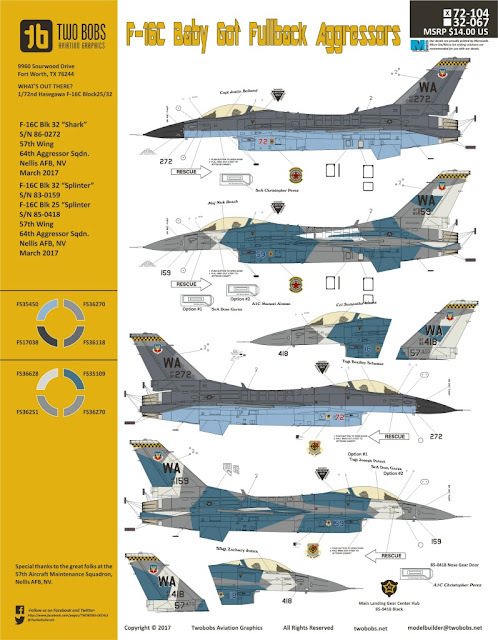 The 57th Wing at Nellis AFB continues to generate new adversary paint schemes that mimic the newest schemes from potential adversaries of the US, "Splinter" and "Shark" are the two newest. We worked with the actual crew chiefs of these particular jets to get all the little details "just right". 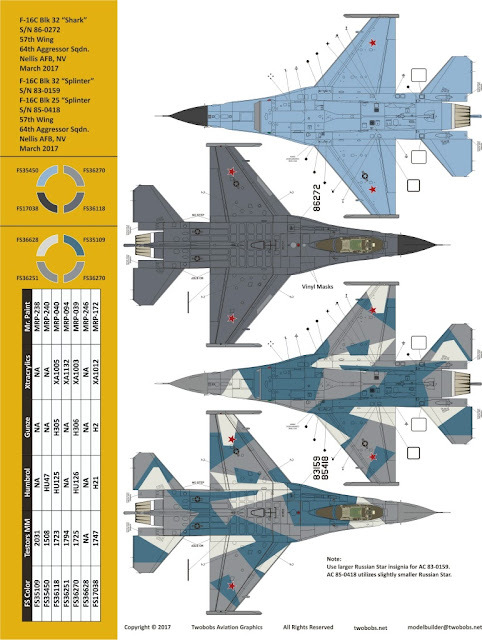 You'll notice that the Russian stars are larger on two aircraft than the first Splinter jet that was painted in this scheme. 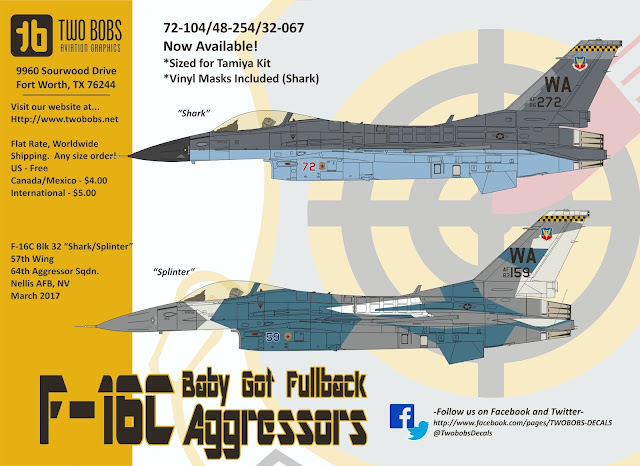 We have included vinyl paint masks for the Shark scheme to paint the false dielectic EW panels that mimic the ones that are on the SU-34 Fullback aircraft. 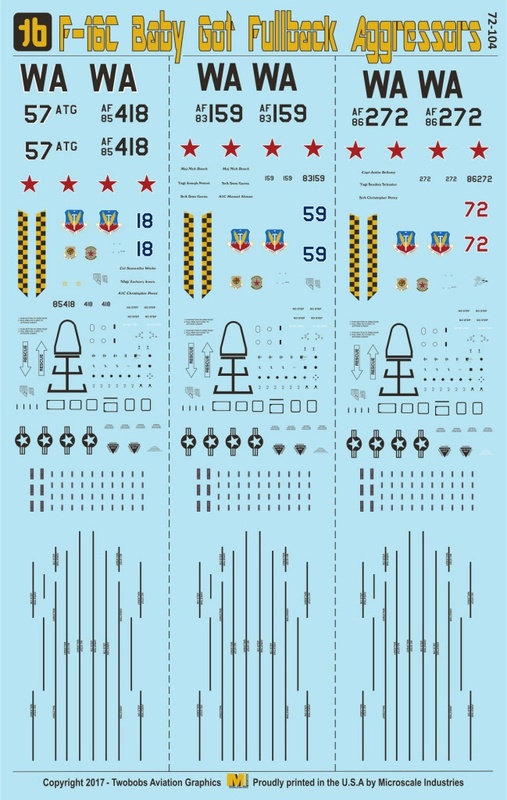 There are enough markings on this sheet for three complete aircraft.